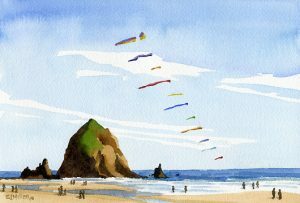 Above: Cape Arago Lighthouse, 15″ x 22″ watercolor, 2016. 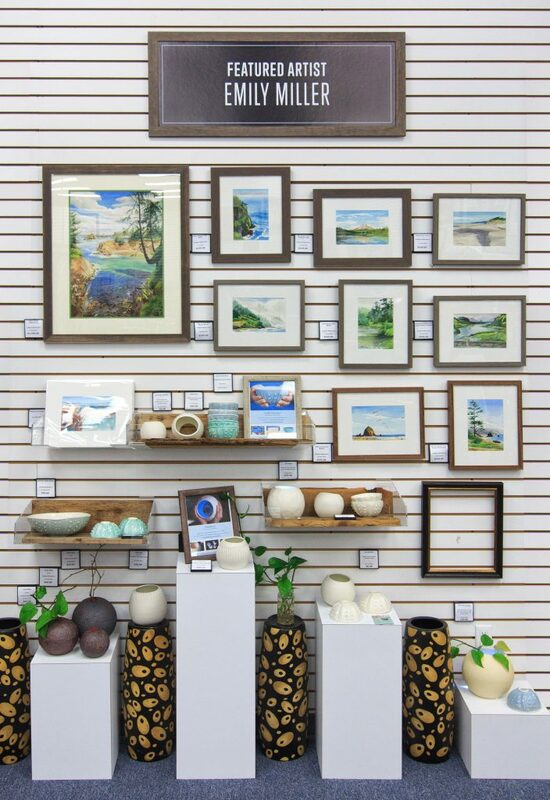 I’m excited to be featured as Artist of the Month for December at Bethany Frame Central in Beaverton! I’ll be exhibiting all new paintings and ceramics from 2016. 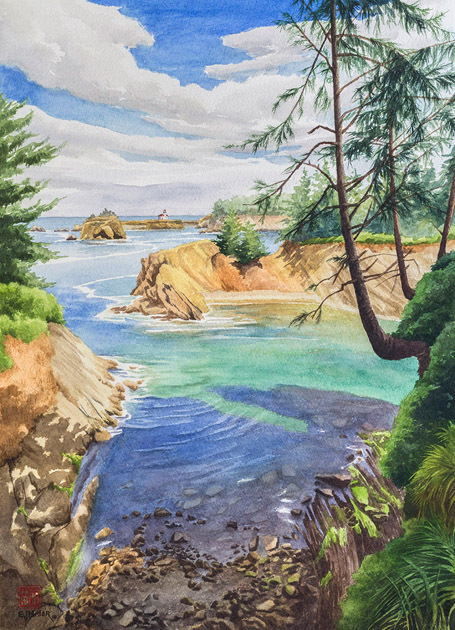 The display will be centered around my latest large studio painting of the Cape Arago lighthouse near Coos Bay (above), part of an ongoing series of Oregon lighthouses. 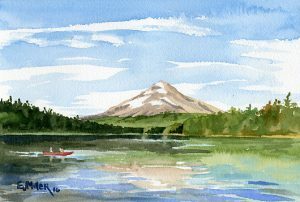 I’m also exhibiting eight smaller framed plein air paintings, plus matted art prints of Oregon landscapes. My recent paintings explore the unique beauty of Oregon’s coastal forest landscapes. Most of these watercolors were completed on location “en plein air”. Plein air painting is a joy and a challenge that I have practiced for over 10 years. Painting outdoors restricts my time, my materials, subjects, and format. At the same time, being out in the landscape, studying the details of each moment’s shifting light, color, and weather, creates a strong bond with the location and a freshness and immediacy in the finished artwork that cannot be duplicated in the studio. Above: Lava Pots, stoneware, 2016. 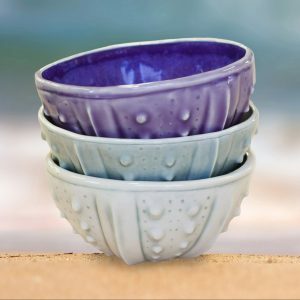 4″ – 7″ tall each. 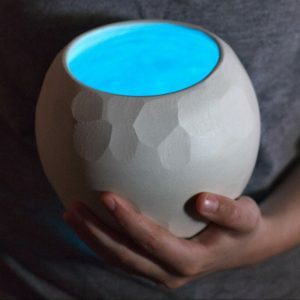 My recent ceramics are functional and sculptural objects linked by their tactile, touchable surfaces. They ask to be picked up and felt, to be discovered with the hands as well as the eyes: heavy and light, smooth and rough, large and small, the forms are meant to intrigue and delight. 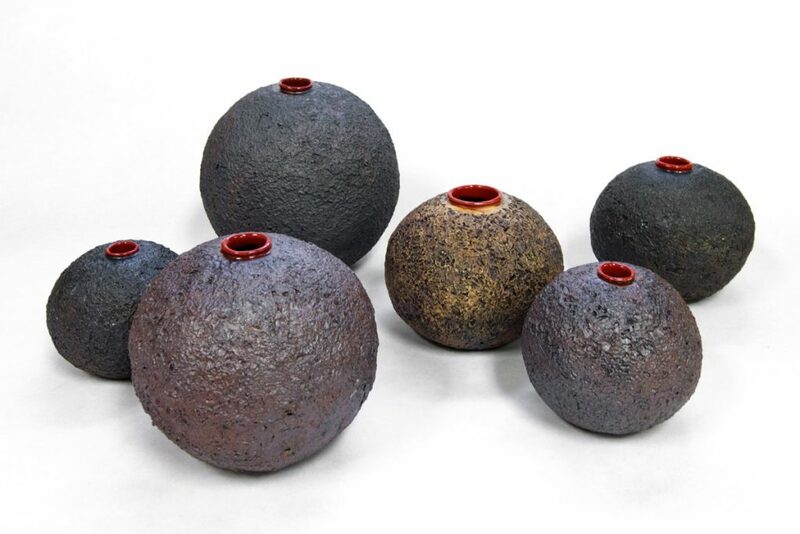 The Urchin Bowls, Wanderers, and Lava Pots are each a series of unique multiples following a basic form, exploring the dance between individuality and conformity in group dynamics. 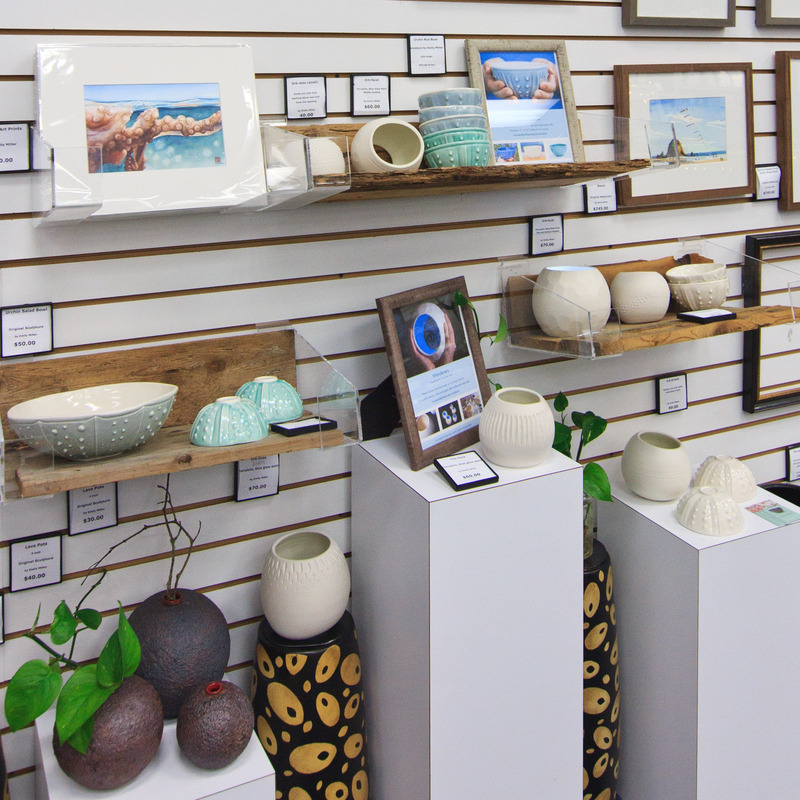 Stop by this month to browse for your holiday shopping!